You are at:Home»Arts & Entertainment»The Punch that Killed Harry Houdini? On October 22, 1926, J. Gordon Whitehead dealt a potentially deadly sucker punch to magician Harry Houdini’s stomach. Harry Houdini (born Erik Weisz in Budapest on March 24, 1874) is almost without any doubt the most famous magician and escape artist of all time, arguably surpassing the David Copperfields and Chris Angels of more recent years. 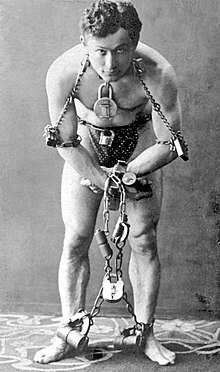 From 1891 to 1926, Houdini dazzled audiences around the world with his many mind-boggling tricks. He gradually acquired such memorable nicknames as “The King of Cards” and “The Handcuff King”. For his many amazing abilities, he is accordingly ranked second on a list of “Top 10 Daredevils” and seventh on a list of “Top 10 Celebrity Spies“. Famous incidents from his life include such gems as managing to get drunk while trying to escape from a beer keg. He spent his career stunning audiences with his tricks, while also devoting time to debunking spiritualists. Nevertheless, one of the greatest mysteries surround him concerns how he died. The immediate cause of his death is clear: he suffered a ruptured appendix that resulted in death from peritonitis. The question is what ruptured the appendix? Two students from McGill University in Montreal, Canada claim that they witnessed a fellow student named J. Gordon Whitehead deliver a surprise blow or series of blows to Houdini’s abdomen to see, as one witness claimed, “whether it was true that punches in the stomach did not hurt him.” Houdini reportedly granted permission for Whitehead to strike the magician, but they did seem to cause discomfort and as such Houdini claimed that he was not properly prepared for the punches and nor did he anticipate Whitehead to strike with such force. Moreover, because Houdini had previously injured his ankle, he received the blows while reclined rather than in a standing position in which he could have better braced himself. Houdini’s insurance company concluded that the death was due to the incident involving the abdominal blows. Nevertheless, an alternative opinion is that a punch could not have ruptured Houdini’s appendix and he was instead already suffering from appendicitis. Yet, the mystery of his death does not end with that plausible explanation. In 2007, Houdini’s grand-nephew announced a possible exhumation of Houdini’s body to investigate the possibility of vengeful Spiritualists (remember how Houdini tried to debunk them?) murdering the great magician. So, was he really killed by a violent punch to the abdomen, was he already suffering from appendicitis, or was he murdered by Spiritualists? Please let us know which of the three you believe in the comments below! 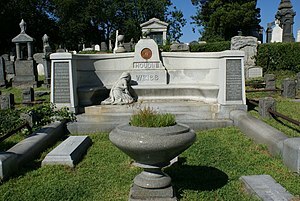 For a sound overview on the death of Houdini, please first check out snopes.com. If you would like to learn more about other competing viewpoints, see also The Man Who Killed Houdini (about Whitehead) and The Secret Life of Houdini (which includes the Spiritualist murder claim).